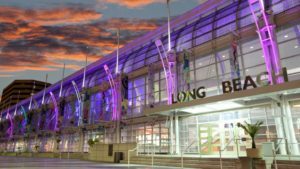 The International Association of Venue Managers (IAVM) is pleased to announce that it will hold the 2019 (July 21-24) VenueConnect Annual Conference & Trade Show in Chicago, Illinois at McCormick Place Convention Center and the 2020 (July 26-29) VenueConnect in Long Beach, California at Long Beach Convention and Entertainment Center. IAVM’s VenueConnect is the leading industry conference that provides targeted education created specifically for more than 2,000 arena, stadium, convention center, performing arts center, amphitheater & fairgrounds, and college & university venue professionals. VenueConnect 2019 will bring the conference and trade show back to Chicago for the first time since 1965. “Chicago has so much to offer the members of IAVM. We are excited to have the privilege to host VenueConnect 2019,” stated David R. Causton, Regional Vice President SMG’s Convention Center Division and General Manager for McCormick Place Convention Center. 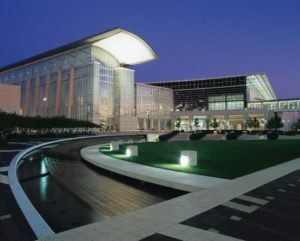 McCormick Place Convention Center is anchored in Chicago’s McCormick Square, a community that was created to provide economic stability and growth to the area. It is undergoing tremendous growth, including new hotels, restaurants, and retail spots. Chicago will provide the perfect setting for attendees from all sectors, and McCormick Place Square provides quick access. From Motor Row, a historic district with great entertainment, shops, and restaurants, to Chinatown, considered one of the most vibrant ethnic communities in North America and provides diverse places to explore, to Soldier Field, Wintrust Arena, the Adler Planetarium, Field Museum of Natural History, and more, conference participants will have many historic and recently added venue options to explore. The Long Beach Convention & Entertainment Center is located in the center of the city’s downtown waterfront and entertainment district. The convention center recently underwent a $60 million modernization and has prompted tremendous economic growth in the community, specifically in the local tourism and hospitality sectors. The “Pacific Ballroom at the Long Beach Arena, The Center’s first turn-key venue, features over 45,00 square free of floor space, built-in professional LEDs, stage lighting, and sound system to provide an intimate environment for dinners, concerts, and special events. The Terrace Plaza comes complete with programmable “dancing waters” fountains, and with its downtown skyline and waterfront views, is the ideal outdoor venue to experience Southern California’s near-perfect weather. Long Beach, located in Los Angeles County, ranked one of the “Most ‘Walkable’ Cities in America,” will provide easy access for VenueConnect attendees to tour venues across all sectors, such as the new Inglewood Stadium and Staples Center, as well as enjoy the shopping and culinary experiences offered close by. More information for the 2019 and 2020 VenueConnect conferences will be announced at a later time. Amy Fitzpatrick is the Director of Marketing for IAVM. Do you want to receive a Front Row News weekly digest?